2:03 PM PT -- A spokesperson for the City of Chicago tells TMZ that officials who searched R. Kelly's studio Wednesday did, in fact, find building code violations, including evidence that the space was being used for residential purposes. We're also told officials discovered work that had been done inside without permits. The city will file an amended complaint against R. Kelly for a future court hearing. 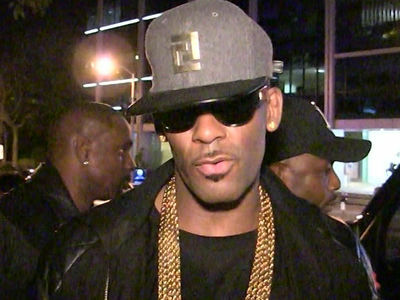 Police are at R. Kelly's recording studio in Chicago, and while it has nothing to do with the allegations put forth in "Surviving R. Kelly" ... it is related to potential illegal activity. The issue appears to be Kelly's studio being used as a residence. Law enforcement sources tell us Chicago PD showed up there Wednesday afternoon with the Cook County Building and Zoning Dept. We're told the B & Z is there because the building is only zoned for industrial use, so if anyone is living there ... that's a no-no. We're told police typically accompany the Building Dept. on such matters ... and officers did NOT go just because it's Kelly's place. BTW, the singer reportedly owes a ton of back rent -- $166k -- and is facing eviction before the month's end. Obviously, the sight of police swarming Kelly's crib immediately made people think an arrest was going down.